Please scroll down for the detailed Wilcox Trees shown below. 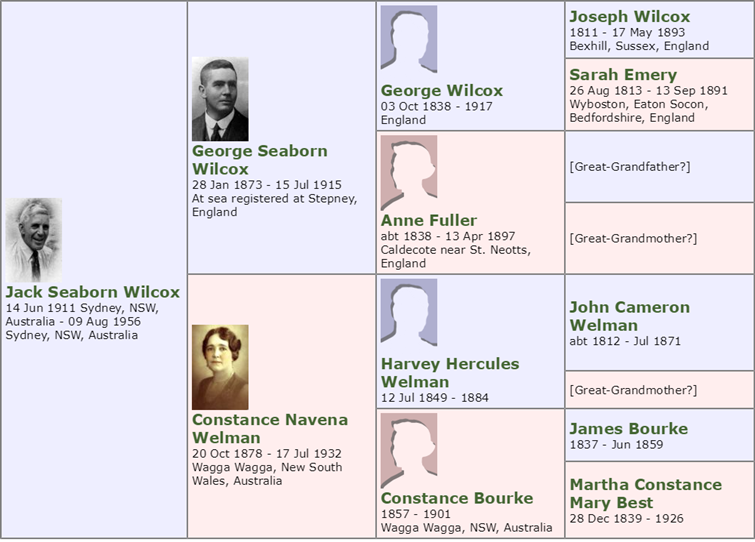 The Wilcox Family Tree Chart on Wikitree offers a wide scope for following up ancestors. 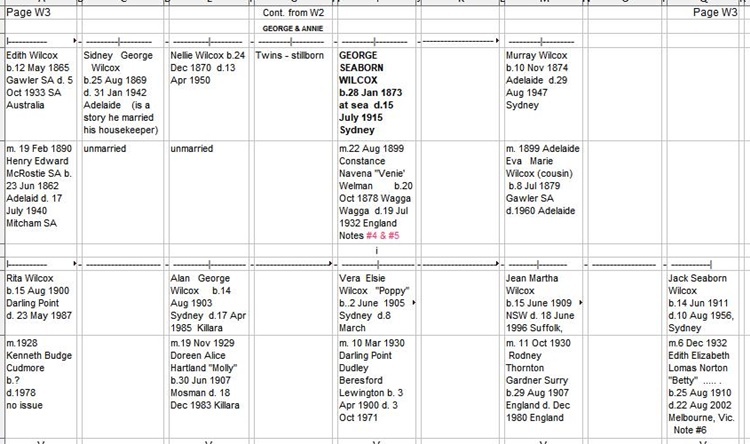 Correction - Edith Wilcox b.1866 not 1865 Notes: 4- George born on "City of Adelaide". 5- George died at "Okinya". Venie died in England and her remains were brought back to Australia. Both George & Venie buried at Waverly Cemetery. 6- Jack born in Sydney, Bet born at Quirindi, NSW. Jack's ashes at Waverly Cemetery, Bet's ashes scattered. 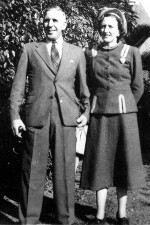 8- Sidney John (Sid) Wilcox born at home at 50 McIntosh St., Gordon, NSW Catherine born at Bishopbriggs, Scotland. Veronika born at Steinhausen, Germany. 11,12- Twins: Mymie Alice (Rosada/June/Isti) Wilcox and Elizabeth Gai Wilcox born at hospital, Vaucluse. Mymie (using the name Rosada) & Peter married at the Registry Office at St. Mary’s Cathedral, Sydney. Gai & Jeff married at Willoughby Uniting Church, Sydney.